Atlas Van Lines has moving services for a variety of moves including local, cross-country and international. If you're looking for a moving service, check out or best long-distance movers by clicking the link below. Atlas Van Lines is the second largest moving company in North America and is not only Better Business Bureau-accredited, but the company is also ProMover Certified. This certification is the highest designation available from the American Moving & Storage Association. With Atlas Van Lines, customers have the security that comes from doing business with a large, stable company while still getting the convenience that comes from working with local agents. Atlas also offers other moving services not available from all other moving companies. One specialty service is called Small Moves, which are non-traditional relocations compared to the industry standard. Small loads or small apartment moves are less costly for the customer and take less time while still providing the same pro-mover experience that comes with moving a full truck of possessions. Special-Item services is another area that many moving companies don’t typically offer. From moving motorcycles and boats to pool tables, playsets and swing sets or pianos, Atlas has the professional training to keep these items safe while being transported. AAA Members save an average of $600 per move. 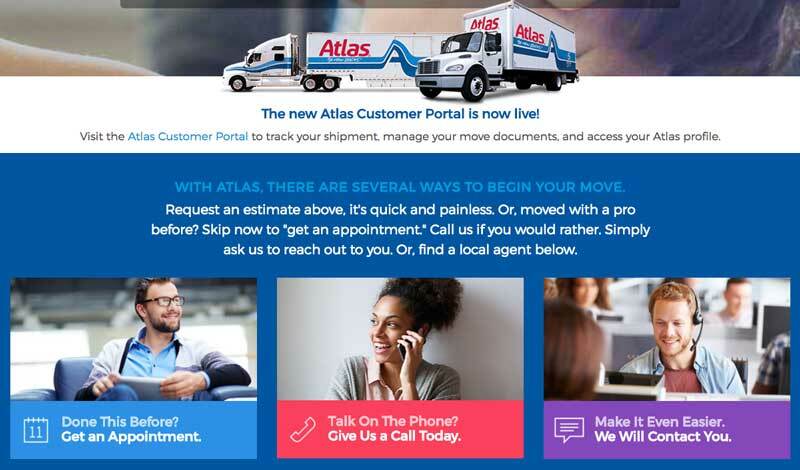 The online Atlas Customer Portal allows you to track your shipment, manage move documents and access your Atlas profile. The Moving Tips & Tools section found on the Atlas Van Lines website is full of helpful moving advice. The Atlas website tells you that you can get an instant and easy online quote by filling out a short form. However, once you enter your information, you don’t get an immediate quote, you get a message that you’ll get a call within 24 hours. Atlas representatives got back to us within 10 minutes of filling out and submitting the form. Atlas lists factors driving the price of a move as demographics, direct costs, capacity and demand and government regulations. We researched what consumers paid for a move with Atlas Van Lines in order to get a ballpark figure of their rates. A local move (within the same city) costs around $2,000 to $3,000 for a two- to three-bedroom house. An interstate move with full-value protection will cost around $3,000-$6,000 if you’re moving on the same side of the United States. Longer, cross-country moves will cost anywhere from $7,000 to over $15,000 depending on distance, fuel and the square footage of your home. Local moves start with entering your zip code on the Atlas Van Lines website. You will then see a map of your area with each Atlas agent listed. Select the moving company on the map that you want to learn more about or get an estimate from, and you will be redirected to their website or will get a call or email from the local company. To start a long distance move, use Atlas Van Lines website to find the Atlas agent in your local area. The next step is scheduling an in-home estimate so an Atlas Agent can formulate a quote based on the size and weight of your possessions. These surveys are required by the Federal Motor Carrier Safety Administration if you are moving over 50 miles. Remember to show the agent all storage areas for moveable belongings, like outside sheds, attics and basements. The agent will discuss optional services for your selection, such as packing, additional insurance, storage and staging, and moving your vehicles or other unique items. You will receive a custom written estimate, and if you decide to book the move, Atlas Van Lines takes care of everything going forward. Since 1960, Atlas Van Lines has successfully moved thousands of individuals, corporate transferees, military, and government employees around the world. With licensed Atlas agents in 17 countries and the certification list below, Atlas can navigate the waters of an international move as easily as they can move you across town. Atlas offers two different types of storage, short-term storage called Storage-In-Transit and Long-term storage. Storage-In-Transit is a secure way to store your belongings, usually used when the customer doesn’t want all items in the new home immediately upon arrival at the destination. The Long-term Storage service is available for any length of time, where many other moving companies put a cap on how long you can have your items held. Atlas offers other services, for a fee, in addition to their core moving options. car, boat, RV or motorcycle. for the current market value of the item regardless of its age. multiplied by 60 cents per pound to determine a dollar figure. Lines only provide this coverage if specifically requested. sheets, packing paper, tape and more. Overall, Atlas has high marks from customers who have used their services over the years. Like any large company that utilizes independent agents, some geographical areas get better marks than others. Words like “exemplary” and “top notch” are often used in online reviews. The majority of the complaints seem to stem from customers who didn’t opt for the Full-Value Protection and were upset about settlement amounts and the time it takes for payment on a claim. The Better Business Bureau rates them A+. While Full-Value Protection resembles insurance, is not insurance that is governed by state insurance laws. Instead, it’s a process authorized by the U.S. Department of Transportation. How does Atlas calculate the price of a move? Atlas will determine the cost of your move based on the weight and distance that your possessions will travel. Other factors include packing options and how much valuation coverage you select. Can Atlas help move my pets? Atlas is not licensed to move live animals, but your Atlas agent can help explore various options to get your pets safely to your new home. Each move is different, so there is no one formula for time frames. 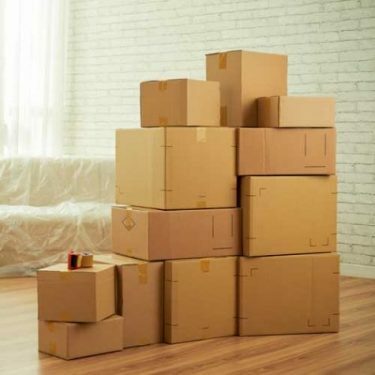 The number of items you move, the location that you’re moving to and time of year all factor in when planning a move and getting a time frame. Are there any items that Atlas can’t transport? Can you help me with some of the terms used in my Atlas moving contract? Auxiliary Service: Also known as shuttle service, this is a smaller vehicle that is used to move items between the over-the-road van (typically while parked at the end of the driveway) and the new home or office. A shuttle is necessary when something obstructs the property entrance, and a large tractor-trailer can’t be driven up to the new residence. Ask your agent before you move if there is an extra charge for this service. Bulky Article Charge: A charge to the customer to transport an item that takes up excessive cargo space in the trailer. Such items include motorcycles, farm equipment, mowers, sheds and grandfather clocks. Cargo Claim: A claim filed for damage to items that were transported by a moving company. Containerization: Freight transported in a box, carton, drum or barrel. Estimated Weight: The approximate weight of a shipment determined by multiplying the estimated cubes by seven pounds. Delivery Spread: It’s usually impossible for a mover to quote an exact day and time for delivery. The spread is the window of time, the earliest and latest, in which you can expect delivery to the destination. A mover will usually call 24 hours in advance of delivery so you can plan to be available to accept delivery. Long Carry: Carrying belongings from the van to the outside entrance of a home or inside the entrance of an apartment more than 75 feet. Every 50 feet after, or fraction thereof, is chargeable. Operating Authority: The government permit that defines the scope of a carrier’s operation by area and commodity. Overage: The accidental delivery of an item to a customer or warehouse when the item belongs to someone else. All overages should be reported immediately to Atlas or its agent to arrange for the return to the rightful owner. Atlas Van Lines is a full-service moving company with over 70 years of experience and solutions for all types of moves, from small loads to local moves, offices to international moves. Atlas has well over 400 local agents and chances are one operates near you. Find an agent you know and trust on Atlas Van Line’s website to bring the best of both worlds to your move. I'm seriously considering suing this company. They will extort money from you, they will hide extra fees until you're in the corner and they will break your things. Biggest scam in the business. Stay away from Atlas Van Lines at ALL COST!